The original challenge was to write 33 words in which the word “lost” appears in the title but not in the story. Today’s challenge is to add 33 more words to the original story. 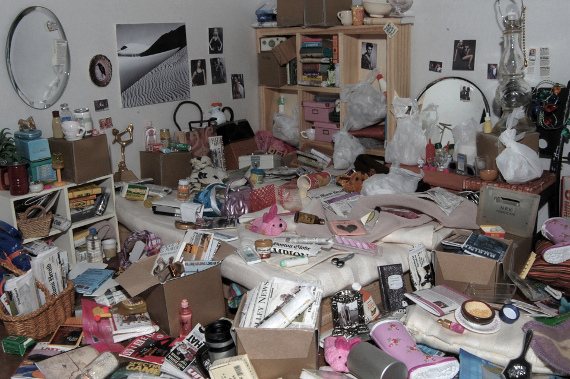 When Mama Flerf heard Frieda Flerf’s screams coming from the Skittles bag, she carefully lifted Frieda out, chastised her firmly, then made her clean Barbie’s entire Dream House for eating between meals again. Hello Dear Readers. 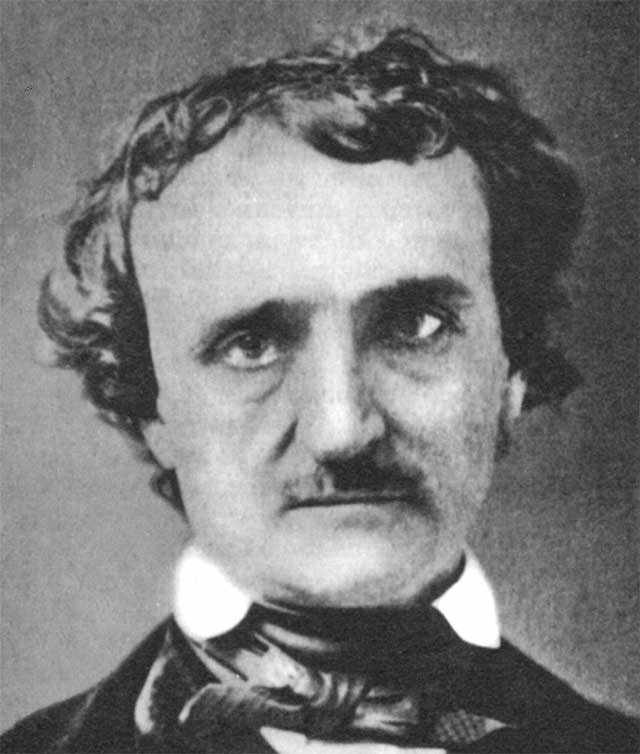 As you may recall, from time to time, this blog takes it upon itself to try to cheer up America’s most famous Gloomy Gus, Edgar Allan Poe. HGTV here! 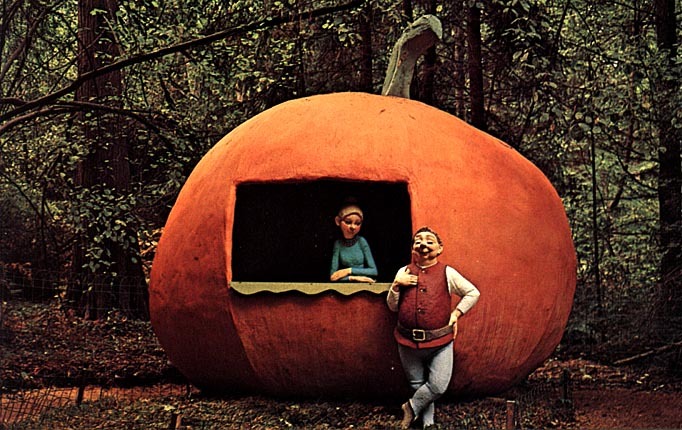 We’re featuring your house on: Homes You Can Live In . . Imprison Your Wife In . . . AND . . . Eat in an Emergency! Nobody. Go back to sleep. Dear Readers! What fruitful weekend I had at the Thrift Store. 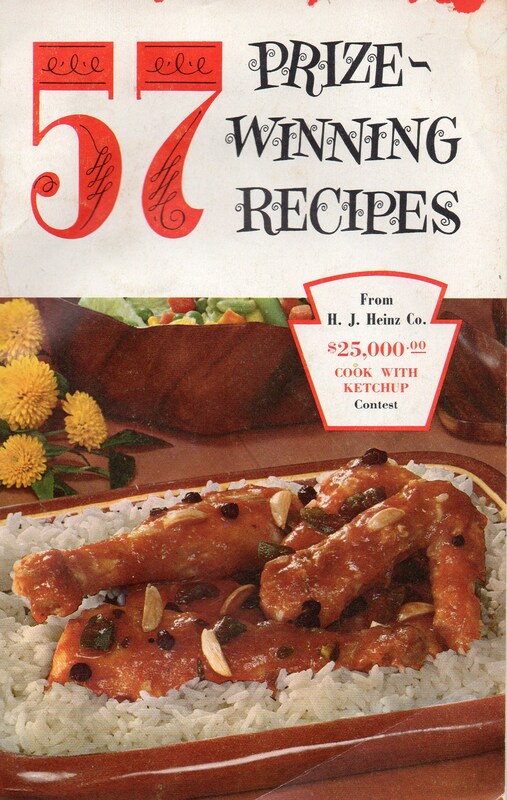 I was lucky enough to find this Heinz Ketchup cookbook from 1957! 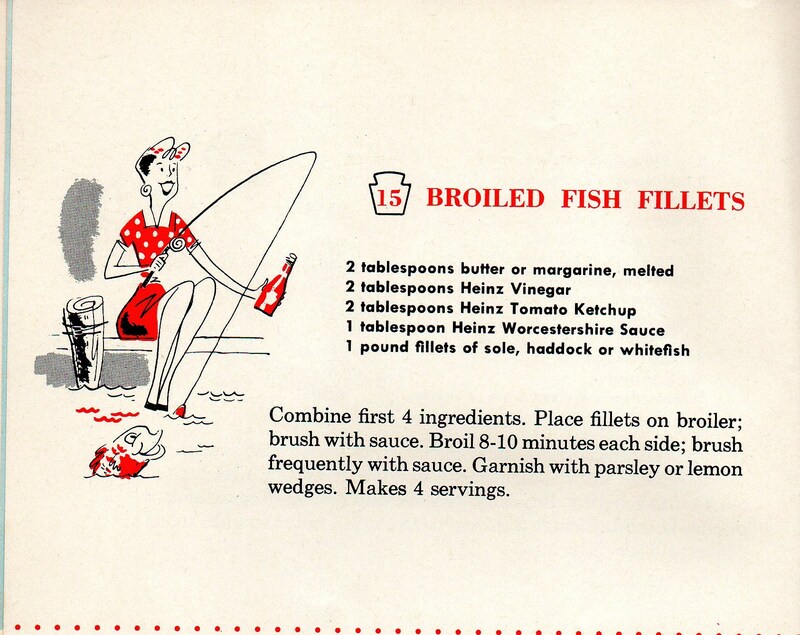 You see, back in 1957, before life was unnecessarily complicated with Twitter, Facebook and the radio alarm clock, people would stay home and cook dishes that required a lot of Heinz Ketchup. 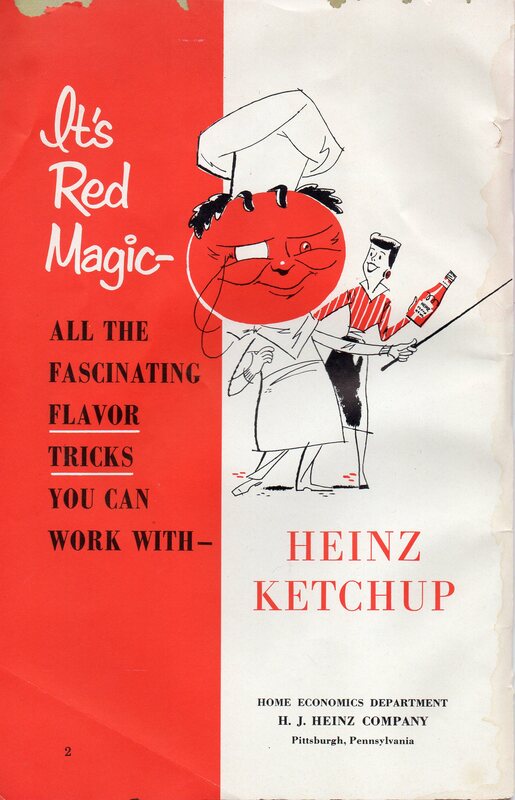 And the fact that Mother seems to be flirting with a gigantic tomato man wearing a manacle isn’t helping Heinz Ketchup’s credibility either . . . oh well let’s just keep moving. 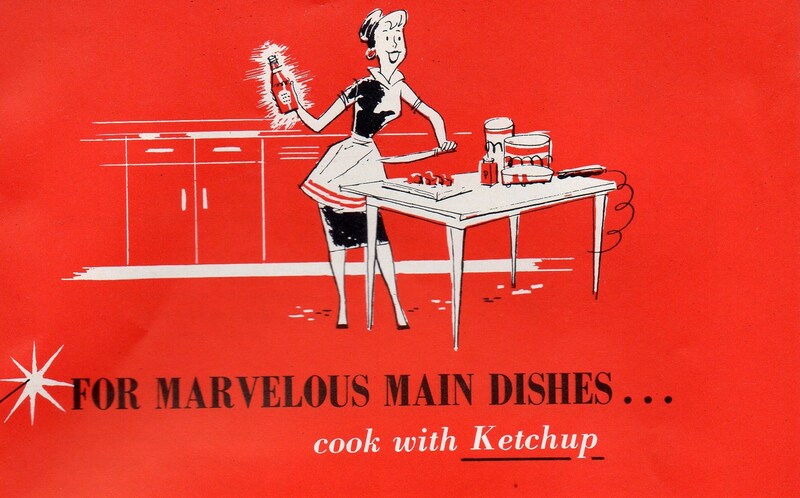 Okay, here we have Mother cooking with what looks like a radio-active bottle of Heinz Ketchup. But there’s probably a simple explanation. Mother’s husband, Father, is probably a Nuclear Physicist who sometimes brings home radioactive isotopes from the office to put in the Ketchup bottle to freak Mother out! The only explanation for what Mother is doing here is that Father told Mother to take a long walk on a short pier. Ha! That Father! Which Mother did, of course, and while she was at it decided to do a little fishing. Of course, as you can see the radioactive isotope has caused the Heinz Ketchup bottle to fuse permanently to Mother’s hand. Father. Could. Not. Stop. Laughing. Here are Mother and Father’s children, Boy and Girl. 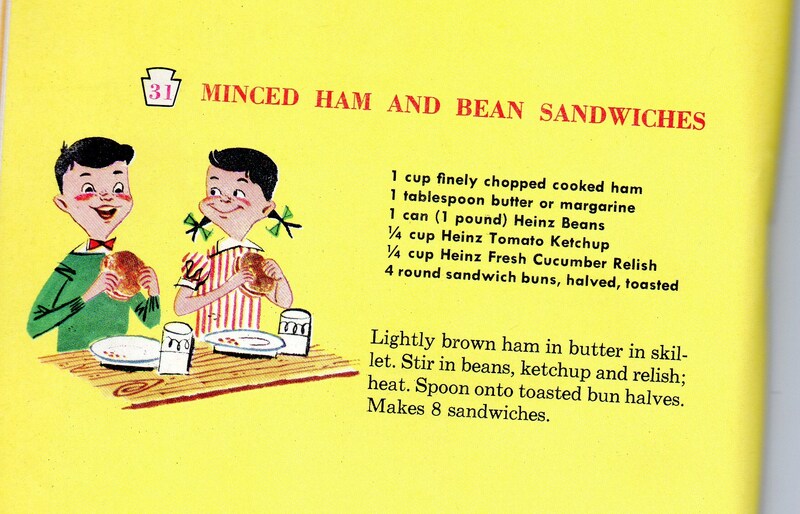 They are eating minced ham and bean sandwiches that Father made for them. Oh that wacky Father! He made both Boy and Girl these Ketchup bean sandwiches and is now hiding behind the Frigidaire spying on them as they try to eat their Ketchup bean sandwiches. 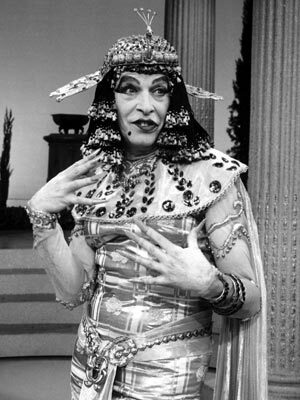 Right about now Father is probably thinking about how he should see if Milton Berle needs any more comedy writers! Hey who’s this? Why it’s New Mother, of course. Old Mother had a drowning accident when she was unable to paddle to safety after falling off a short pier due to the Ketchup bottle being fused to her hand. But that’s okay because Father found and married New Mother later that day! 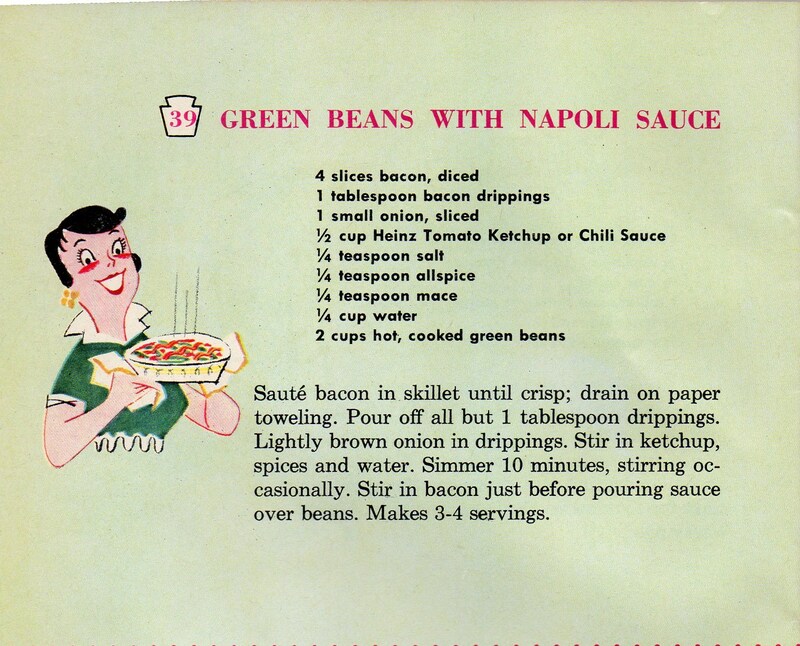 And New Mother has just cooked Father a tasty dish of Green Beans with Ketchup! Little does New Mother know that Father has just stuck two radioactive isotopes into the casserole dish she’s holding and Father can’t wait to see the look on New Mother’s face when she tries to set the dish down but finds that it’s fused to her hands! Unfortunately Father didn’t get to see the look on New Mother’s face because just then the phone rang and Father ran to answer it because — who knows — it might have been that all important call from Uncle Milty! And there you have it, Dear Readers, a glimpse into the food lives of people from the past. The Rule of Three is a writing principle that asserts that, in writing, groups of three have the most impact. This week’s Trifecta challenge is to write 33 words using the Rule of Three somewhere among them. It is up to you to interpret the rule, just make sure to use exactly 33 words. Hello muse? Can you come over? Ugh. Besides, I’m at Brain Tomahawk’s blog eating lunch. Wanna come for dessert then? 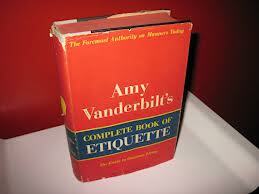 Amy Vanderbilt’s Complete Book of Etiquette! Let’s flip through some pages . . . Ah here we go! A Guide to Tactful Conversation! 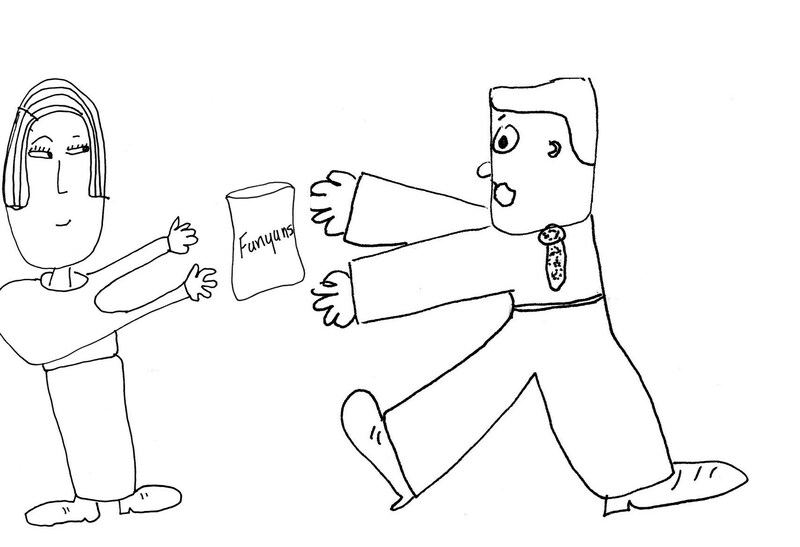 Amy will illustrate what she means by doing a little role playing with a Typical Person. Amy: How do you do? Typical Person: Does your stomach stick out like that because your preggers or are you just fat? Typical Person: That depends . . . is that mildew smell coming from me or you? Typical Person: Who wants to know Funyun breath? Amy says this reply is trending towards tactful but is not quite there yet. 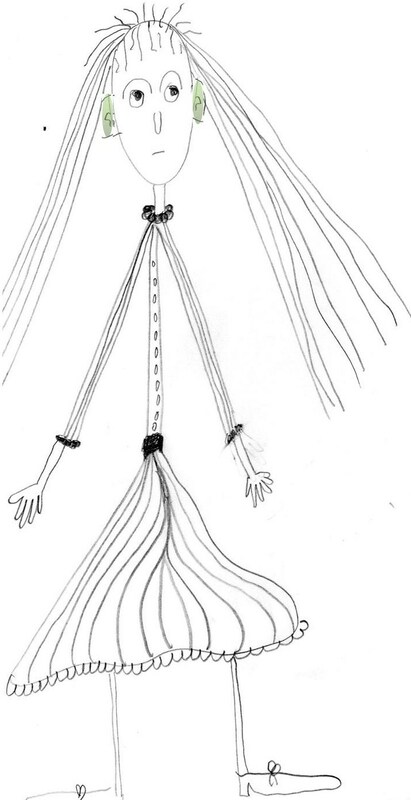 (She also says this typical person reminds her of someone but she can’t think who.) Amy says try again. Amy says: How do you do? Typical Person: I like Funyuns. Amy: Nice to see you. Typical Person: You do not have a clue who I am, you are just pretending to look attentive but you have not been listening to a word I just said about the en-vi-RON-ment. Amy says she likes this response because there are no contractions in it. 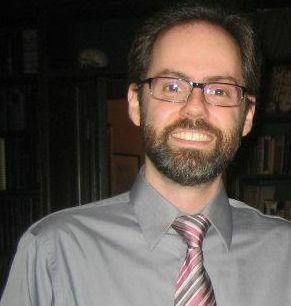 Amy says this person reminds her of someone but she still cannot think who. Amy: You are looking well. Typical Person: It feels like we have been talking for one thousand, billion, million trillion hours. Amy: Al? Al Gore? Is that you? Typical Person, Al: Yes. Yes. Yes. It is me Al Gore. Yes. Yes. Yes. Amy: Thanks for standing me up the other night! You have some nerve! Typical person, Al: Sorry I cannot do anything but stand up. Plus I was out of Funyuns. Do you want to go to get some Funyuns with me? Amy: Of course Al! You know, I cannot resist a man who does not use contractions! Amy says that concludes our Guide to Tactful Conversation lesson one! But Amy is sure she will be back real soon to teach us more etiquette because she just cannot help herself! Funyuns. Funyuns. Funyuns. Yes. Yes. Yes.